Bespoke wedding cakes, celebration cakes and cupcakes for all occasions. Celebration cakes in Oxford delivered free within 5 miles for orders over £100, where possible. Cakes with Grace Oxford design and create bespoke wedding cakes, birthday cakes, celebration cakes and cupcakes. All individually designed for you and made fresh to order from my home. I am happy to replicate any cakes from my gallery, though love the chance to design something new. Let me know what ideas you have and we can come up with something together. Choose from a wide range of flavours or feel free to make a suggestion. 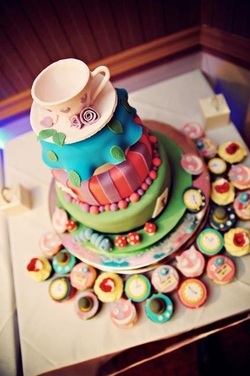 Cakes with Grace Oxford is 100% dedicated to ensuring the cake for your special occasion is just as special. I pride myself on great tasting cakes at a very competitive price. I am proud to say I have received 5/5 'Scores on the doors' for hygiene and hold a level 2 qualification in food hygiene. We also offer catering for events in Oxfordshire for your child's party or small event. If I am baking, please leave a voicemail and I shall get back to you as soon as possible. Thank You.